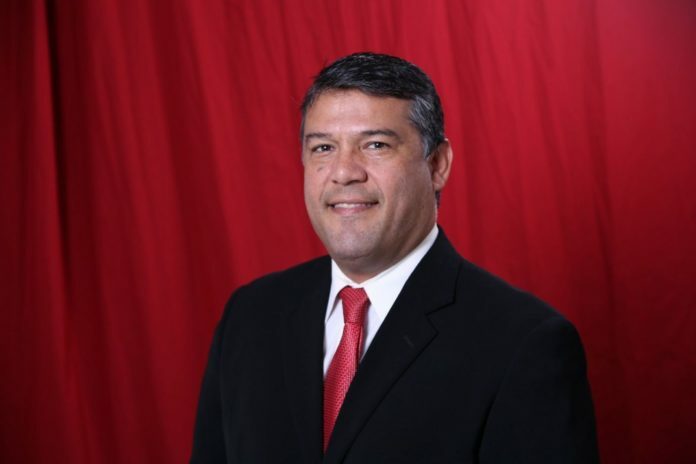 The city of Palmview must hold another election for the mayor’s position after Ricardo “Rick” Villarreal’s election was deemed improper by the Texas Secretary of State’s office. The new election must be held no later than 120 days from the date of the vacancy in accordance with the city charter and state law, according to an opinion issued Monday by Christina Worrell Adkins, legal director of the elections division of the secretary of state’s office. The vacancy was created the day the votes were canvassed on Nov. 20, the same day the elected officials, including Villarreal, were sworn in. Because he was already sworn in, the secretary of state’s office wrote in the opinion that they believe he should continue to serve until a pending special election is held. However, Worrell Adkins later notes that the validity of his ability to currently occupy the office is still in question and advises the city to exercise caution regarding any official acts made by Villarreal. “We understand that you are in contact with Texas Municipal League and we would suggest continuing to seek their advice on council actions involving the mayor until this is resolved through your special election,” she wrote. Villarreal, an assistant superintendent at the La Joya school district, could not be reached for comment Monday afternoon, though he previously said he would be willing to go through the process of running for mayor again. During the November municipal elections, he ran unopposed for mayor after former Mayor Gerardo “Jerry” Perez decided against running for re-election. On the ballot, Villarreal was included in a section that simply listed the unopposed candidates declared elected, which the secretary of state’s office deemed improper. The issue was that Villarreal needed to have received at least one vote, said Sam Taylor, director of communications for the secretary of state’s office. The only exception is when every candidate for the council runs unopposed, Taylor said Wednesday, citing Sec. 2.051 of the Texas Election Code. There were, however, two contested Palmview City Council races, and voters should have therefore also been able to vote in the mayor’s race. How the oversight occurred remains unclear. While the city contracts with Hidalgo County to facilitate the elections, the responsibility ultimately falls on the city. The city sends ballot information for the county’s preparation. The county then sends a draft ballot back to the city for review and approval. However, Palmview City Attorney Eric Flores said that in conducting a review, he discovered that Villarreal, as well as some concerned voters, called the Hidalgo County Elections Department about the issue while voting was already underway. The elections department, according to Villarreal and Flores, assured them that there was no problem. Regardless of how the mistake occurred, the result is that there is essentially a vacancy in the mayor’s position, which must be filled through a special election, according to Section 3.07 of the city charter. The city had previously scheduled a special meeting for Monday evening to call the election, anticipating they would receive the official opinion from the secretary of state’s office on Friday. However, because it was not received until Monday morning, the meeting was cancelled to allow more time to review the opinion, Flores said.